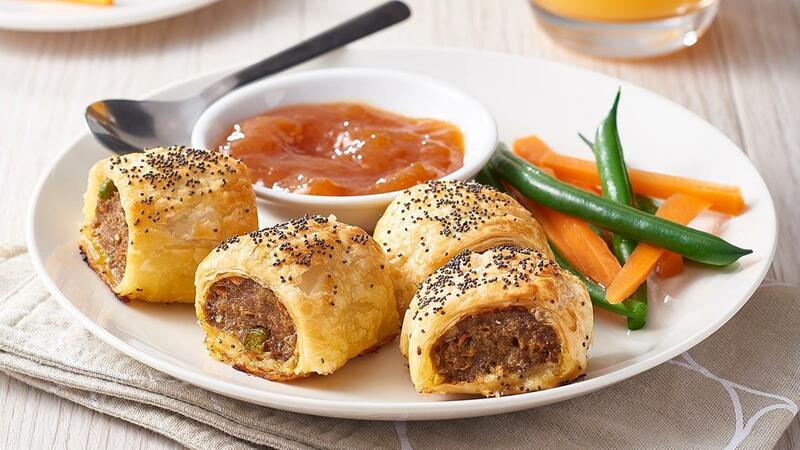 Homemade sausage rolls are sure to be a favourite with your residents. KNORR Patak's Korma Paste is a perfect match with lamb. Combine lamb mince, KNORR Patak's Korma Paste, breadcrumbs, peas, carrot and green onions. Cut each pastry sheet in half. Place a quarter of the mince mixture along the middle of each halved sheet of pastry. Roll up the pastry to enclose filling, then cut each roll into five pieces. Brush with egg and sprinkle with poppy seeds. Bake at 190C for 25 minutes until golden and cooked through. Serve with KNORR Patak's Sweet Mango Chutney, salad or steamed vegetables.